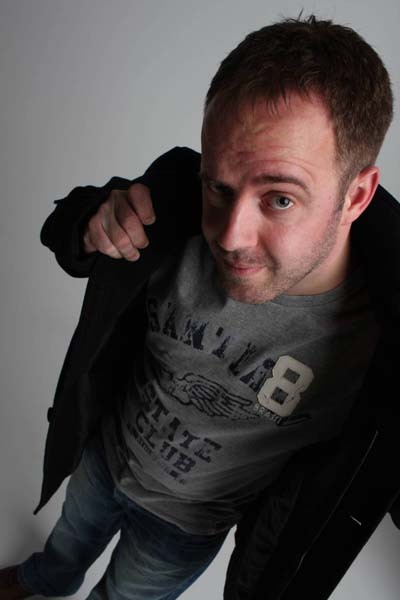 Andy Black is a comedian and comedy writer based in Ely, Cambridgeshire, bored with the monotony of fen life he thought “I can do that” and has been busy performing stand-up comedy on the circuit since 2008. Regularly performing gigs, Andy has gigged for Mirth control, Salt Box Comedy Club, Downstairs at the Kings Head and Party Piece to name but a few. He met with the other members of the Jaunty Prawns in 2009 and since then the great taste of seafood just hasn’t been able to compare to that of the mirth inducing decapods. The group are set to take the circuit by storm and Andy will be writing for their Edinburgh show. 2010 has seen Andy move to new heights as an MC of his own night in Cambridgeshire “The Fountain of Mirth” which plays host to a variety of new and existing comedians alike. Andy has already started writing for his Edinburgh 2011 show, and continues to play to audiences throughout the UK in 2010.